I first heard of Heather through a friend who suggested I look up her books on Audible. I read “Miranda Warning”, and I loved her characters so much, I knew I had to introduce y’all. Q: So, Heather, I was telling everyone how much I enjoyed your characters from “Miranda Warning”. What inspired you to set that book in the mountains of WV? A: I was actually born in West Virginia and, except for three years in South Carolina (where my accent was solidified), I grew up in West Virginia. I’d heard plenty of ghost stories and real-life unsolved mysteries set in these mountains, so I knew there would be no better place to set a mystery series! Also, I really wanted to bring a taste of modern-day West Virginia to readers. West Virginia is a mixed bag—it’s full of wild beauty, yet it’s also full of families that have been ripped apart by drug addictions. I enjoy working real-life details into my West Virginia-set books, since I do live here once again. Q: How old were you when you first knew you wanted to be a writer? A: From the time I could read (around age four), I’ve loved words. I won an essay contest in the fifth grade, which was encouraging, since I’d whipped up that paper the morning it was due. 😉 But I guess I was about twelve when I wrote my first poem (about our first visit to the ocean), and I ran over to tell my mom and grandma my epiphany: I was a writer. My family has always believed in my writing abilities, even when I doubt them! But I wasn’t able to start writing novels in earnest until my children were out of their toddler years. Q: From where do you get your inspiration for your characters? A: Often, my characters are kind of built around certain types of people—I want them to be people you feel you know because they’re so believable. Personality tests have really opened my eyes as to why some people are so very different from me. As a matter of fact, I’m kind of strange myself (I’m an ENTJ on the Myers-Briggs, a “Commander,” which is a rare female type). Q: Can you tell us about other books you have written and where we can find them for sale? A: I’ll link to my books below. 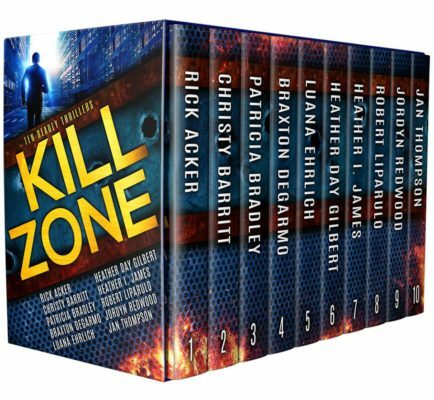 All are available in softcover except the Indie Publishing Handbook and “Kill Zone: Ten Deadly Thrillers”. Both of my mysteries, “Miranda Warning” and “Trial by Twelve”, are available in audiobook format as well (on Audible), as well as my Viking historical, “God’s Daughter”. All my books and the vendor links where you can purchase them are listed on my blog’s book page. “Trial by Twelve” is my second mystery, and I’m working on the third one, “Guilt by Association”, which will hopefully release this December. 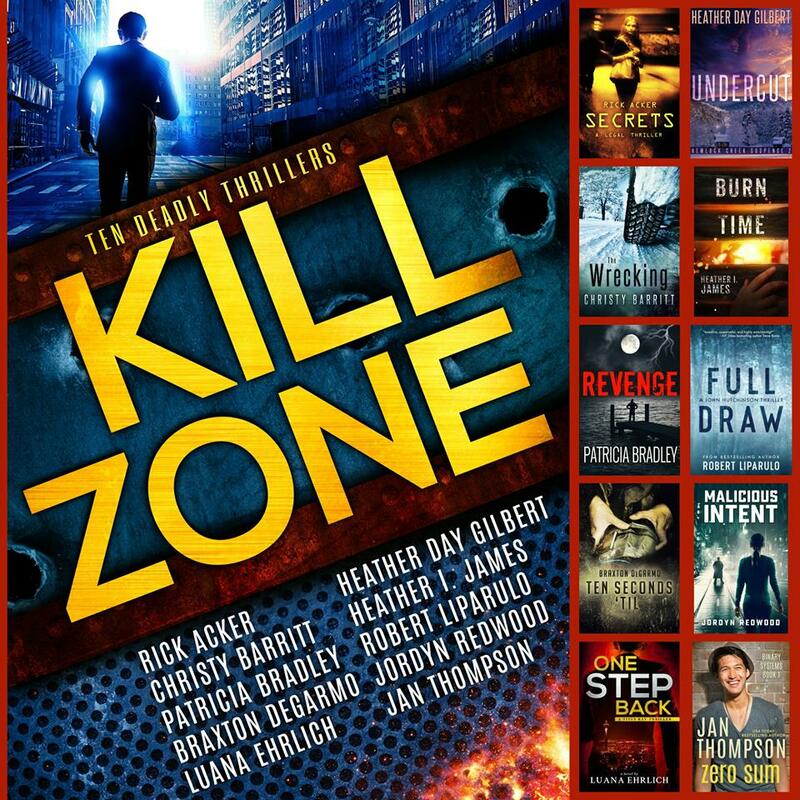 I have a romantic suspense novella out, titled “Out of Circulation”, and the second in that series, “Undercut”, will first release with the “Kill Zone: Ten Deadly Thrillers” boxed set that’s up for preorder. These romantic suspense novellas are also set in West Virginia. I also have two bestselling Viking historicals, “God’s Daughter” and “Forest Child”, which are based on real Viking women who sailed to North America. Also, my Viking romance novella “The Distant Tide” is found exclusively in The Message in a Bottle Romance Collection. Finally, I’ve written a short handbook for authors who are considering independent publishing titled “Indie Publishing Handbook: Four Key Elements for the Self-Publisher”, and you can find it here. Q: What is next on the horizon? October (it’s a steal at 99c/preorder for 10 all-new thriller novellas by bestselling Christian authors, and the price is going up to $5.99 after release). Undercut will have its individual release (also in softcover format) later in October. Then I hope to release my third mystery, Guilt by Association, in December. I have other things in the works, but those are my top priorities for this year! Q: One of my favorite scenes in “Miranda warning” was the one at church. Can you tell us about your faith and how much of a role It plays in your writing? A: I’d be glad to. All my books are written from a Christian worldview (since I’m a Christian author!). In some of my books, that worldview is more overt, but it’s never preachy. You’ll find I have very flawed characters who wrestle with sins and who have character arcs that might span an entire series (just like we’re works-in-progress until we die!). I liked writing that church scene in Miranda Warning because Tess didn’t grow up in a Christian home, and she has lots of questions. It’s important to show churches where those questions are welcomed. Thanks so much for letting me visit today! Thank you for allowing me to feature you on my blog. I can’t wait to read more of your books. 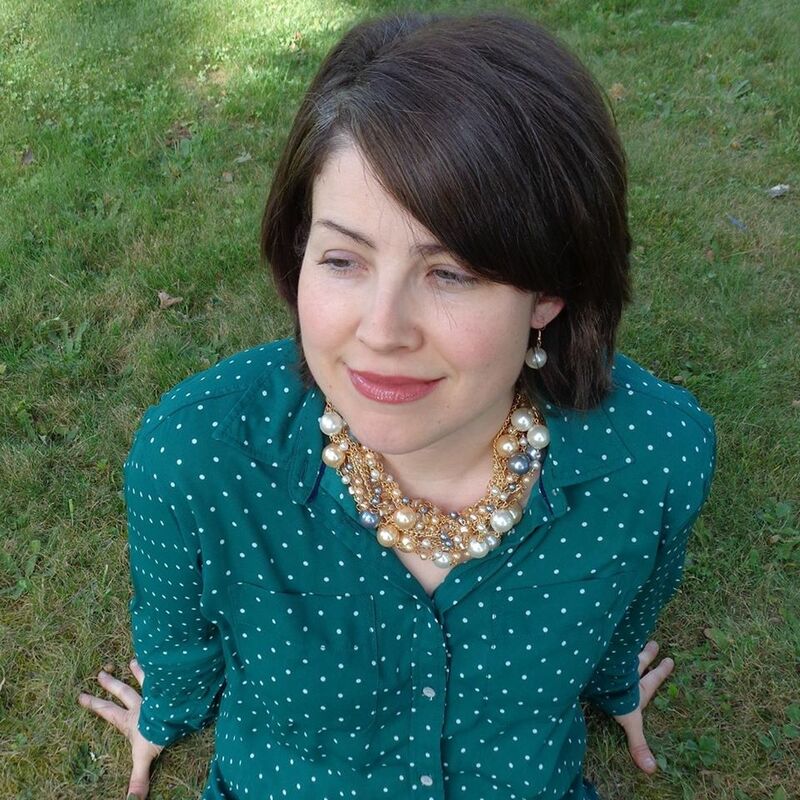 To find out more about Heather, you can check out her website at heatherdaygilbert.com. Hi, my name is Rosalyn. I've listened to the audio version of Trial By Twelve and loved it! I'd love to win one of these! As a fellow West Virginian I enjoy reading books set in our home state. Thank you for the chance. I enjoyed the interview. Hi, my name is Cheryl. Would love to win a copy of Heather's Miranda Warning. Thanks for the chance! Great interview!! I adore Mrs.Gilbert's books!! They're so good. Would love to win a paperpack copy of this amazing book! Thank you!